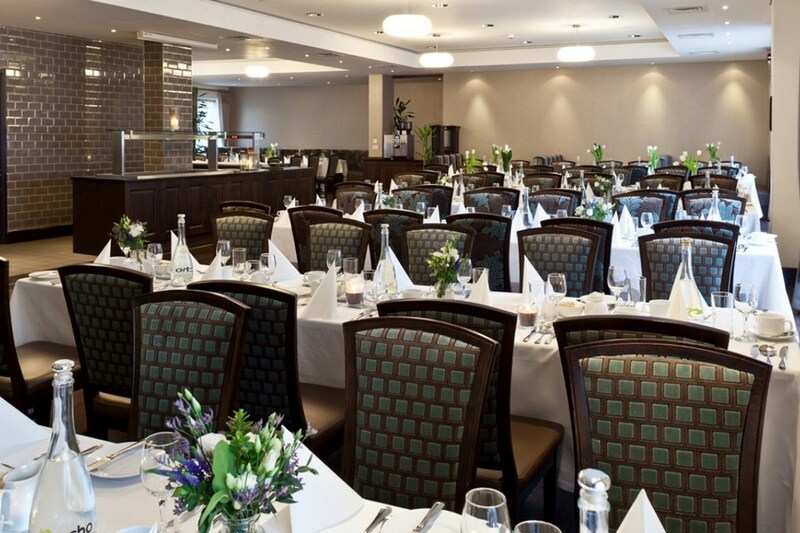 The Grand Canal Hotel Dublin is a modern comfortable hotel within easy walking distance to city shops, museums, and galleries, while being convenient to local transport. Facilities include restaurant, Gasworks Bar (with pull your own pint tables), GYM, Coffee Dock, Complimentary Wi-Fi, and complimentary car-parking. The hotel is just a short walk from The Bord Gais Energy Theatre and The O2 is within easy reach. Walking distance to city shops, museums, and galleries. The hotel is just a short walk from The Bord Gais Energy Theatre and The O2 is within easy reach. We booked the Grand Canal Hotel due to it's proximity to the Aviva Stadium. The reception staff were very nice and gave us a lovely quiet room at the back of the hotel which we had requested when booking. We had intended eating barfood in the hotel before going to the match but the selection wasn't as good as the menu we had seen on the hotel website, so we ended up going elsewhere. After the match there was a great buzz in the hotel bar which we enjoyed. The breakfast was also very nice. All in all very good value for money. Very nice pleasant stay last Friday - great location for our trip to the bord gais theatre. Thought it a bit strange that our room was made up while we were at breakfast, as it was only 10.30 and check out was 12, glad we didnt want to get into bed for an hour before leaving! Breakfast buffet was nice if luke warm. Good friendly staff would stay again. Great location for heading to bord gais theatre, staff really nice, breakfast was good ,room had everything we needed thanks.Will stay again. Very enjoyable - surpassed expectations. Good central location, free and secure parking, nice bar with very good athmosphere. Would highly recommend it. 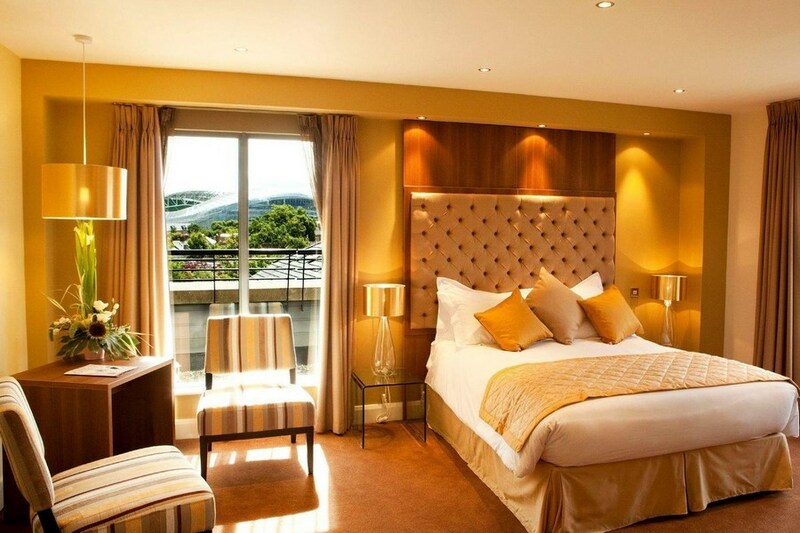 Our recent stay at the Grand Canal Hotel was most enjoyable. We were a short walk away from the Dart and so easy access into the City, the Board Gais Energy Theatre was within 10 mins walk, also restaurants, bars, etc. The room was well appointed and the double bed was very comfortable. Only item missing was a hairdryer. The staff were extremely pleasant and helpful. We will definitely be staying there again and I'll bring my own travel hairdryer! Room was clean and nice. Food in the bar was a disaster , we were waiting 45 minutes and it wasn't even busy. No apology and the quality of it was not great. Chips over cooked and my husband felt very sick after the burger.. During the night the fire alarm went off which was an awful experience could not sleep after it.. Breakfast was ok but nothing major. I would highly recommend this hotel. It was very clean, staff were very friendly,breakfast was super and it was so convenient to the Bord Gais Energy Centre. I will be back and have other friends who stayed here who gave the same review. Location superb. Rooms were spacious enough and very comfortable. Staff were very helpful and obliging. Breakfast had a good variety of food on offer. Complimentary car parking was a very welcome bonus and allowed for hassle free sightseeing with the Dart just a few metres away. Would not recommend attached bar The Gasworks for quality of food though. We were very pleased with our week-end at the Grand Canal Hotel. From the moment we arrived at reception, we found the staff extremely helpful and pleasant. We were on the executive floor,and our room was very well equiped with tea/coffee, smart tv, bathrobes and complimentary toiletries. The room was warm and very clean, as was the whole hotel.We had dinner in the Gasworks bar which was very nice. The breakfast was exceptionally good, with so much choice ,and was hot and well presented. We would thoroughly recomend this hotel for very good facilities, food and staff. Really enjoyed our stay. Staff and service were outstanding, will deffinately stay again. we stayed in grand canal for 3 nights last weekend and despite on going refurbishment of reception, we really enjoyed our stay, facilities were good, staff very friendly and helpful. Breakfast was good , location central , would use this hotel again. My only issues were that the rooms were way too warm, service was quite slow in the bar for food and drink and the bin men woke us up Saturday morning with the racket they made, our room overlooked the back yard so we heard and felt everything. Other than that it was exactly what we needed and breakfast was lovely! Staff are very friendly and efficient. Hotel is clean and overall it was a pleasure to stay there. Very friendly staff... great location & comfortable room. Stayed here on a Saturday night during the Easter Bank Holiday weekend. Was great to get such a lovely Hotel in Dublin City for this price. The food was very tasty and they serve breakfast up to 11am on a Sunday morning, so great to get a sleep in after a night out!!!! Full view of the new Aviva Stadium from our room and it was all lite up that night with a rugby game taking place. Will Def come back here again!!!! Friendly staff. Lovely bright room. Lovely fresh breakfast. I would stay again. Great location for attending anything at the theatre or the aviva stadium. Receptionist staff were very friendly, Breakfast was great would stay there again. 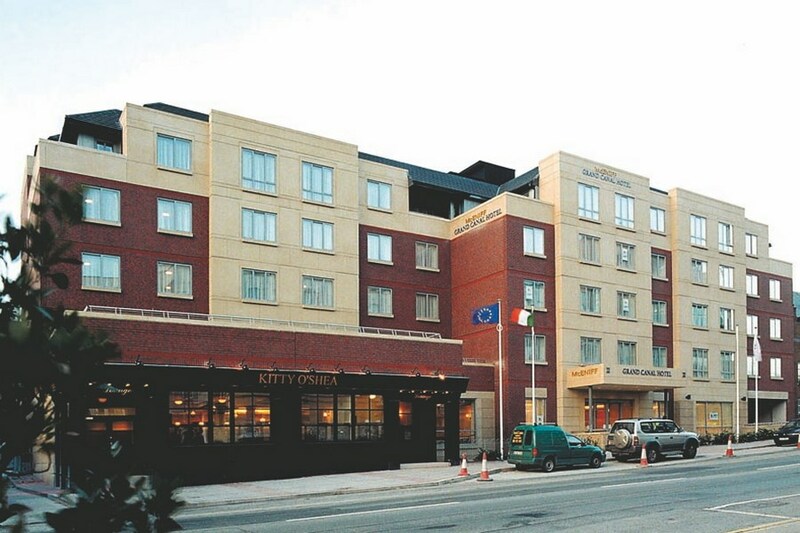 We have stayed in this hotel on a couple of occasions when going to a show in the Grand Canal Theatre, as it is ideally located at only 9 or 10 minutes walk away. We have always been very happy with it, The rooms are clean, spacious and have all the usual extras (hairdryer, iron, tea/coffee, etc). There is a good bar, which has had entertainment on whenever we have stayed. There is a good choice of food which is good value, also there is a good choice for breakfast. The staff have been well trained and are helpful and friendly. we enjoyed our stay would recommend this hotel to family and freinds. great location . Grand Canal Hotel advertise that they run a free shuttle bus to the O2. This was the main reason we booked this hotel. On arrival we enquired into this to be told that it is not operating and does not operate unless they have a sufficient number of people to travel on it. We had booked into a family room as our 10year old daughter was staying with us. That night there was a group of tourists staying on the same floor as us, they seemed to have been a school tour or alike. All night they were running up and down the corridors, shouting, singing and arguing. Not a good idea to put a family room beside a school tour! Otherwise the hotel itself, location and food is nice. we stayed here for the george michael on the 3rd of nov and we really enjoyed our stay and were very impressed with the hotel facilities. our room was very spacious and we even found little chocolates on our pillows!! nice touch, then to make a good evening even better my boyfriend proposed to me!! so any chance of a free weekend there???? Excellent location, great service, clean room and great value- perfect! i was very satisfied with all aspects of my stay in this hotel. I was in a very quiet room on the 5th floor, facilities in the room were all fine, CD player, tea/coffe making facilities. breakfast was nice, plenty of choice. i used the gym during my stay, it was small but enough equipment to have a workout. hotel staff efficient and pleasant. great value for money and i would stay here again. I was very happy with this hotel, we stayed here on Saturday night as we were heading to the dogs in Shelbourne and then out for a few drinks. It was very close to the dogs and we were able to walk to Shelbourne park. The room was clean and spacious, we got free carparking which was great. The breakfast was good. Overall great value for %u20AC78. Would definitely use again if I was going to the AVIVA stadium or shelbourne park.